MSolutions offers one stop high-quality, low volume yet affordable PCBA service with many years' experience, ideal for Startup’s firms, makers, Kickstarter projects and students. Instant quote, no hidden costs, no strings attached, no delays. Beyond small scale prototyping, MSolutions also offers Propagate Service to satisfy more advanced and customized requirements, including mass production planning, certification and developments. 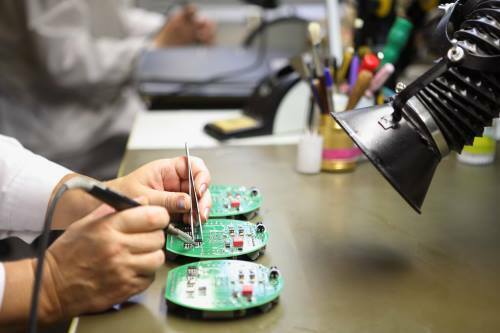 We are ready to customize our electronics and firmware to better meet your solution's needs. Many of our platforms are prepared for customization. 100% quality guarantee, offer free re-do if needed.All the parts sourced from reliable suppliers and each board will have visual inspection. AOI testing, ICT and functional test will be applied if needed. Assembly will be finished from 24 hours to 72 hours when we have all the parts. We have an in-stock with more than 600 parts. If all the parts are from MSolutions, the delivery time will be 5-7 days. All the PCBA order without hidden cost. It is super suitable for team even with tight budget to have 1 PCBA trial with Fusion for starter. 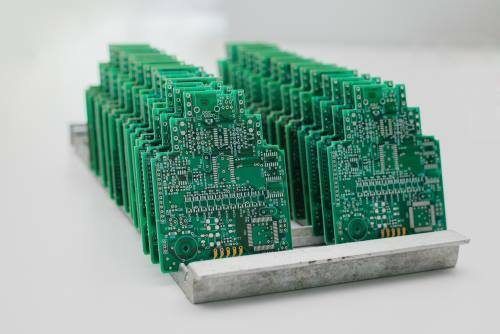 We support small batch PCBA starting from 1 piece to 100 pieces. Verify the product with the lowest cost without extra fee or processing fee for the prototype or small batch stage. MSolutions PCBA offers through-hole assembly, SMT Assembly, kit assembly, mixed assembly with IPC-A-610F standard, which applies for rigid board assembly, flex board assembly and rigid flex assembly. volume production, we also offer propagate service to satisfy more advanced customized requirement like design capabilities, package service and certificate service.